The Ladies European Tour has signed a multi-year extension of its long term partnership agreement with Lacoste, which will see the brand continue as the Official Clothing Supplier of the women’s golf circuit for a further four years. The LET first partnered with Lacoste in 2009 before expanding the relationship in 2011 when the brand became the title sponsor of the Lacoste Ladies Open de France. 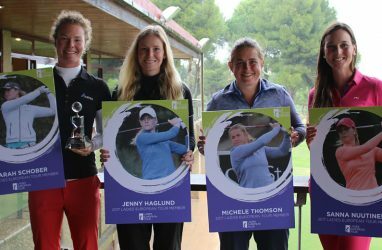 The extension comes shortly after the announcement that the Lacoste Ladies Open de France, which will be played at Golf du Médoc Resort in Bordeaux, on September 6-9, has also been secured until at least 2021. The renewal reaffirms Lacoste’s strong golf heritage and will mean that Lacoste will continue to provide Official Clothing for all Ladies European Tour and LET Access Series staff at tournaments for the next four years.